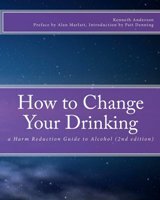 How to Change Your Drinking is the handbook of the HAMS alcohol harm reduction program. It is available from Amazon as either a paperback or a Kindle eBook. This guide book gives you everything you need to attain goals of safer drinking, reduced drinking, or quitting alcohol altogether. There are numerous evidence-based exercises and worksheets for changing your drinking habits and the science which backs them up is explained as well. This book has received the Self-Help Seal Of Merit from Association for Behavioral and Cognitive Therapies. Get this book and start changing your drinking habits today. About the Author: Kenneth Anderson, MA is the founder and executive director of HAMS: Harm Reduction for Alcohol. He holds a masters degree in mental health and substance abuse counseling and is currently pursuing a doctorate in addiction psychology. Anderson has been working in the field of harm reduction since 2002. He has worked "in the trenches" of harm reduction by doing needle exchange in Minneapolis and has served as online director for Moderation Management and director of development for the Lower East Side Harm Reduction Center. Anderson has presented the HAMS program at such venues as NYU, Harlem United, and The New School University. He has also been a regular presenter at the National Harm Reduction Conference since 2008. "HAMS is a person-to-person, grass roots effort to translate into ground-level reality the often abstract claims made by what has become the major reform movement in drug (less so alcohol) policy and (less often) treatment - harm reduction. The truth is that people struggle over their lifetimes to reduce problems associated with substance use and abuse; that few human beings abstain completely and permanently (even among those claiming to do so under the auspices of AA and rehab); yet nonetheless most make improvements in their lives and substance use. NOTHING WE CAN DO by passing laws, trying to herd every substance abuser into treatment, or admonishing high school students never to drink or to take drugs can change this larger human reality. In fact, the reverse is true, and the need to recognize the extent of substance use and abuse in our society increases rapidly, and more people require realistic, harm reduction oriented help. This is not a popular - even an acceptable - truism in the United States, despite ample evidence every day that our larger political and public health policies are meaningless, or worse, counterproductive. "HAMS is for the large majority of substance users who have problems who remain unserved by our current Alice In Wonderland approaches. The often unacknowledged, majority." Author of The Diseasing of America and Recover! help people achieve the drinking goals they have chosen. "How to Change Your Drinking presents 17 elements (not steps) from which readers can choose to use in their program of harm reduction. The many supporting chapters are short and reader-friendly but based on solid research. "This handbook is pragmatic and excellent." 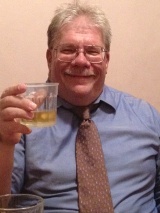 Professor Emeritus of Sociology, SUNY, Potsdam. "In the world of one-size-fits-all treatment programs for alcohol problems, Kenneth Anderson's book is unique in offering a veritable smorgasbord of choices--everything from safe drinking strategies to cognitive and behavior therapies to naltrexone and The Sinclair Method and more. Mr. Anderson is to be applauded for making a host of options available to people who have been failed by more conventional treatment approaches. Because of its wide scope, I believe that this book should be required reading for psychologists, nurses, medical students, families, 'alcoholics' and substance abuse therapists, family practitioners, and law enforcement officials." "Ken Anderson's book is an excellent and refreshing resource for those wishing to successfully modify their drinking and/or avoid the life-killing programs that now pass for 'treatment' in the U.S. Not only does the material reflect the actual research, but it also debunks the AA/12 Step myths that have dominated our culture to the extent that intelligent people have nowhere to turn for help. I am happy to recommend this book to anyone looking to educate and inform themselves, spouses, family members and friends." "Finally! A comprehensive, user friendly, intelligent look at reducing the risks associated with alcohol use from a Harm Reduction perspective. Every aspect, including history, myths and facts, physical/emotional manifestations of alcohol use, and of course, harm reduction theory and action steps toward minimizing negative effects, recovery and beyond. Take your time…this 'manual' reads like a work book and can be one of your most important references on this topic. This has also become mandatory reading for all of our direct services staff and a reference for participant discussion. Well worth adding it to your library." "How do some people drink and not turn it into a problem? How to Change Your Drinking: A Harm Reduction Guide to Alcohol discusses how to encourage moderation and reduction in one's drinking habits, whether one just wants to clean their habits up or simply wants to quit entirely. From preventing blackouts to cultural differences and more, How to Change Your Drinking is a useful read for anyone who wants to bring their alcohol consumption under their control." APPENDIX IV: How Effective Is AA and 12 Step Treatment?